Review and photos by Tom Sedens. As always, there are a ton of pictures at the end of the article. Yep, the Ranger never really went away. Although we haven’t seen it in Ford showrooms for years now, it’s been available elsewhere in the world. And now it’s back in North America. But this isn’t replacing the old Ranger you’re used to. This is something completely new. And different. 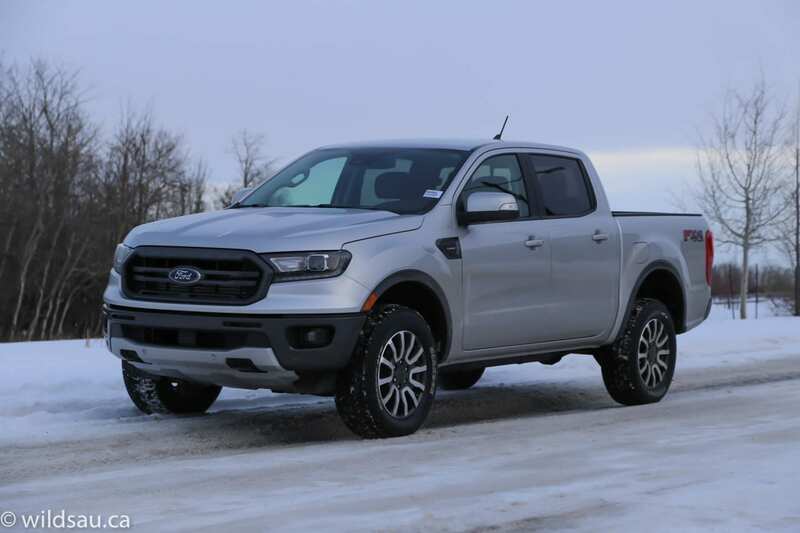 I reviewed two trims of the Ranger, which is essentially the identical vehicle underneath with a few aesthetic and “goodies” added for the upper trim. In this case I had the mid-level XLT (that’s the red one in the pictures) and the top-level Lariat (the silver one) trims. 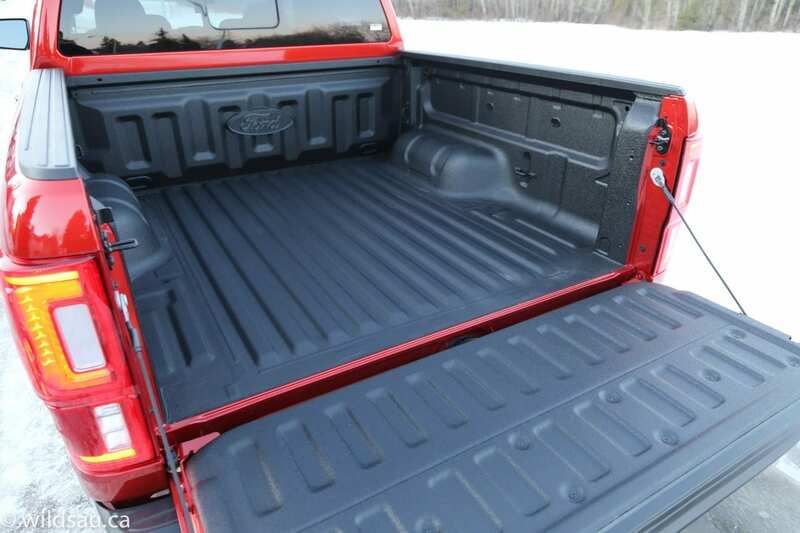 There’s also a base XL trim available – mechanically, they’re all the same. The first thing you notice is the size. This thing is significantly bigger than the old Ranger. Frankly, there’s little point in continuing to compare them – all the share is the name. This one is taller, wider, longer and sports significant ground clearance. The windshield is raked back and the wheel arches are pronounced and beautifully rounded. 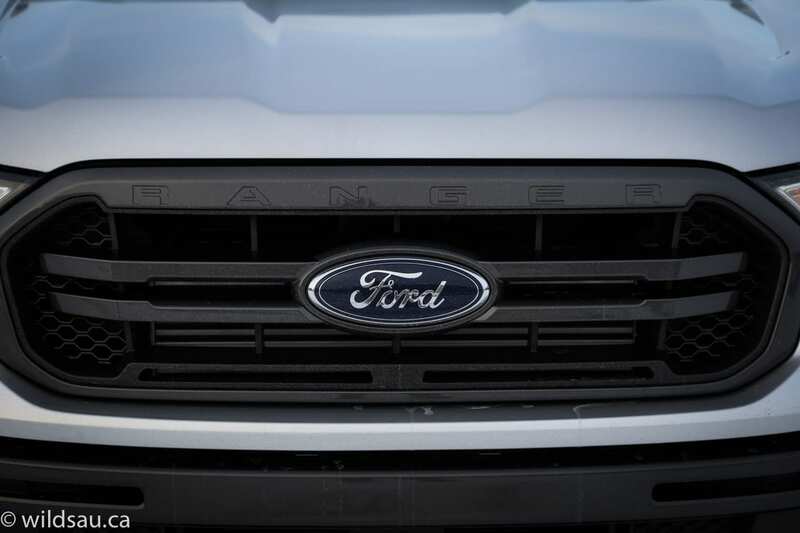 The wide-opening grille is flanked by LED head lights and driving lights on the Lariat – the tail lights on both trims are LEDs. 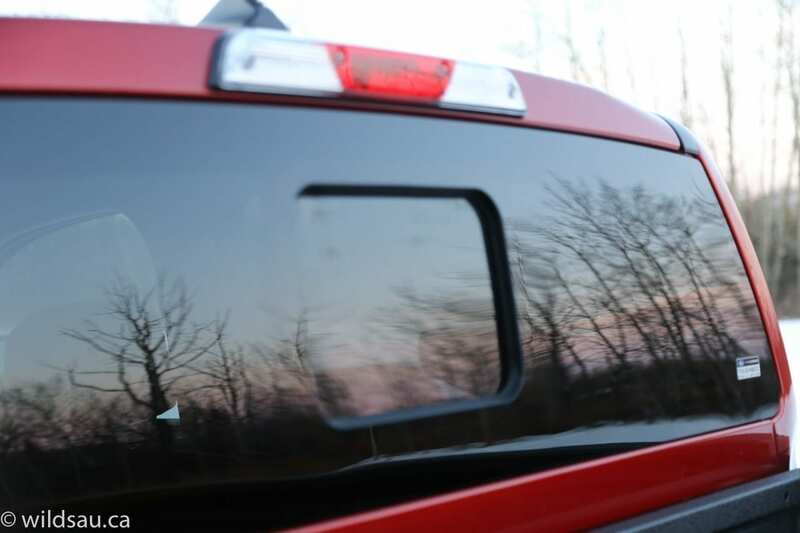 My Lariat had the optional Sport Appearance package, which adds a black grille and “Magnetic” bars, machined aluminum wheels with “Magnetic” painted pockets and “Magnetic” wheel well mouldings. 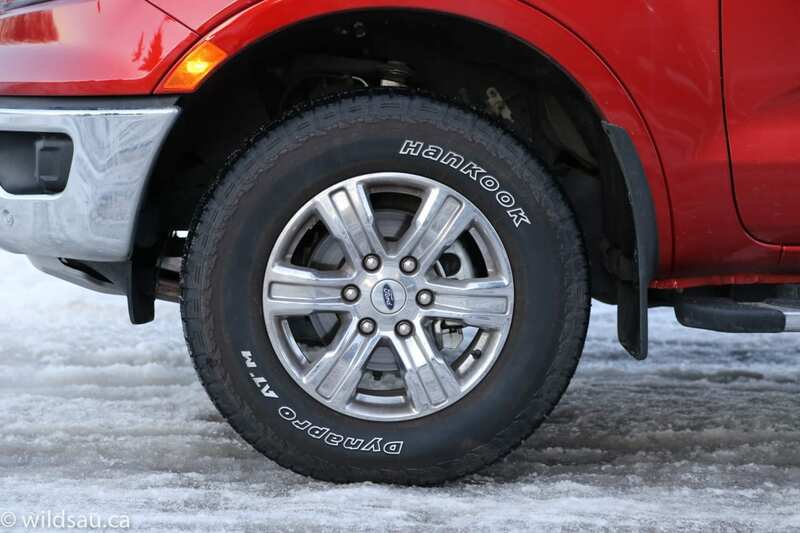 Those handsome 18-inch wheels are finished off with meaty 265/60-sized off-road-worthy rubber. 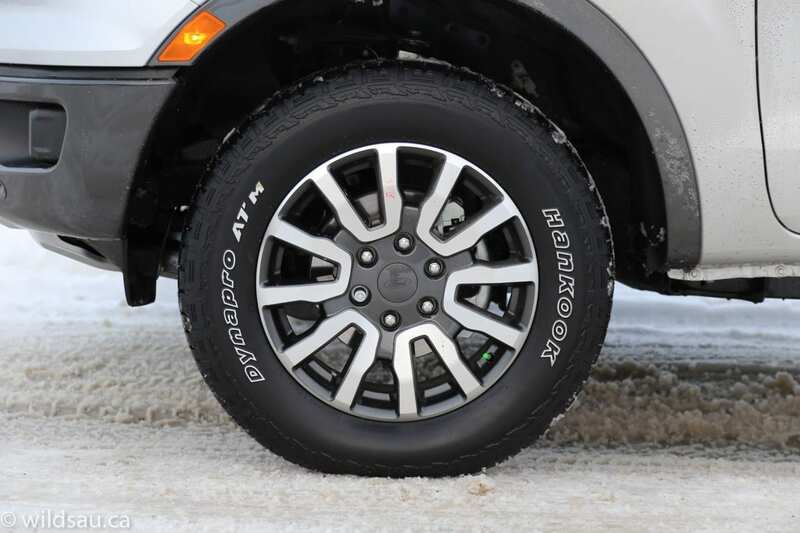 The XLT has 17″ rims which still look great and have other benefits as you’ll read later. The overall package looks the business. 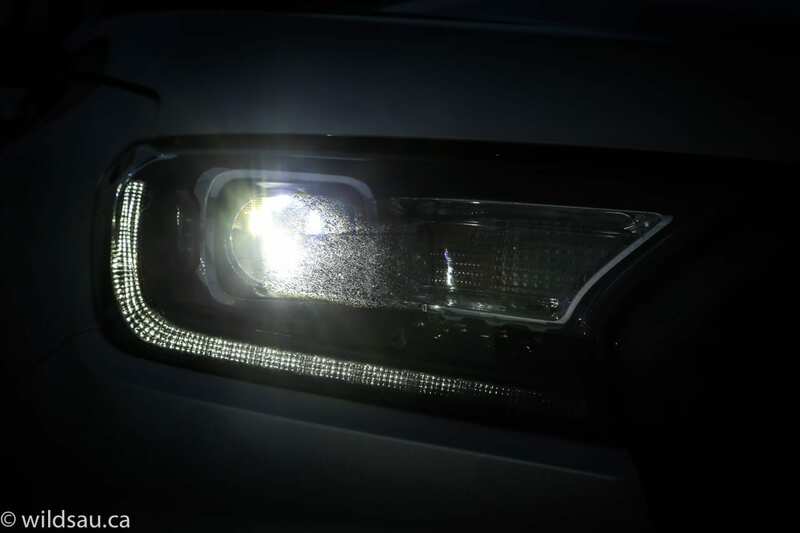 It puts forth an air of solid capability and off-road adventure readiness. It looks somewhat fun and aggressive yet it never departs from traditional truck styling and once you get used to it, it’s not very exciting. That’s not a bad thing. And although the styling doesn’t really catch the eye, the whole unit somehow did capture others’ imaginations. This was one of the most stared-at, thumbs-upped and photographed things I’ve reviewed. Whether it’s nostalgia for former Ranger owners, or curiosity from other truck drivers, the Ranger got a ton of attention whether it was parked or rolling. 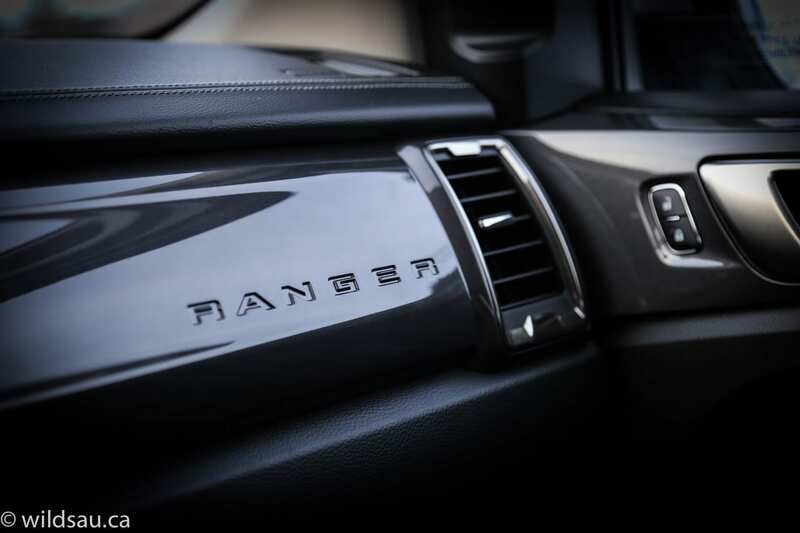 The first thing you’ll notice is the big step up into the Ranger. Literally. 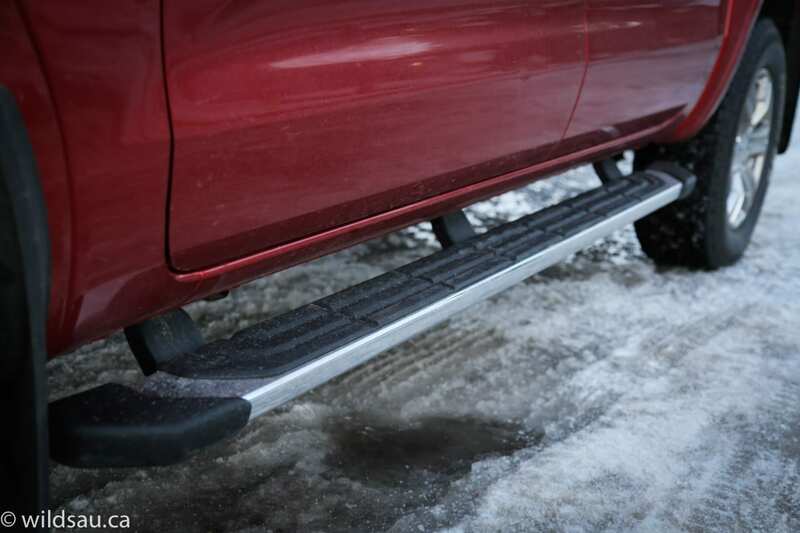 I think a lot of folks will opt to add running boards to help with that – my XLT had them and they’re great. 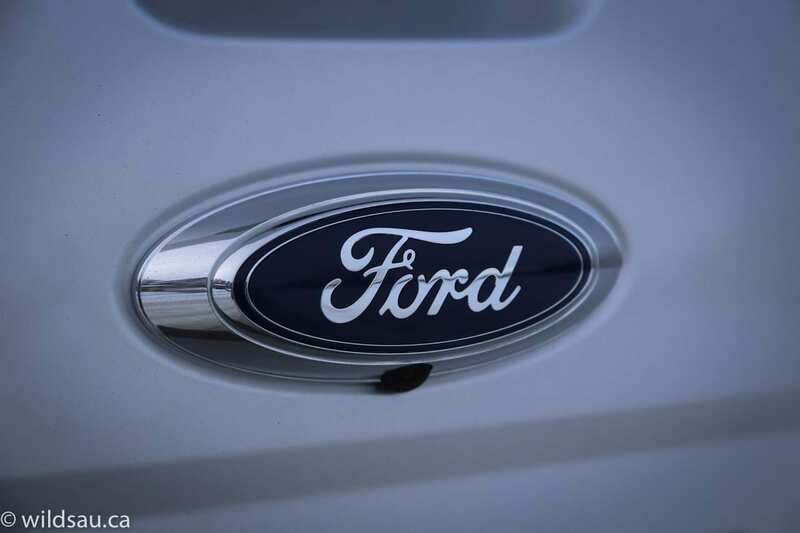 The interior appointments will be familiar territory if you’ve been in recent Ford products. It’s a relatively clean styling exercise and most things work well in terms of ergonomics, although the design feels like a step back into time. Materials lean toward the entry-level and are a bit of a disappointment. 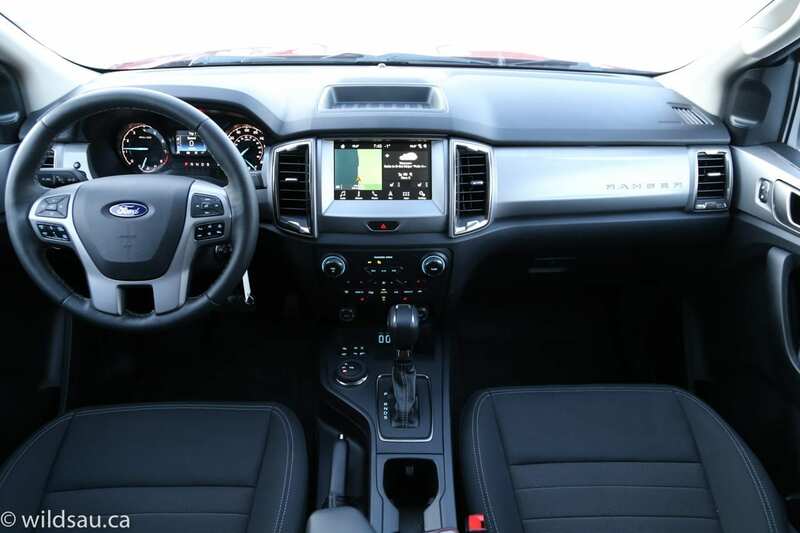 There is some soft-touch material on the door panels (the Lariat gets some soft-touch stuff on top of the dash too), but otherwise it’s a sea of hard black plastic in there – particularly on the console. Behind the leather-wrapped steering wheel sits the instrument bin. 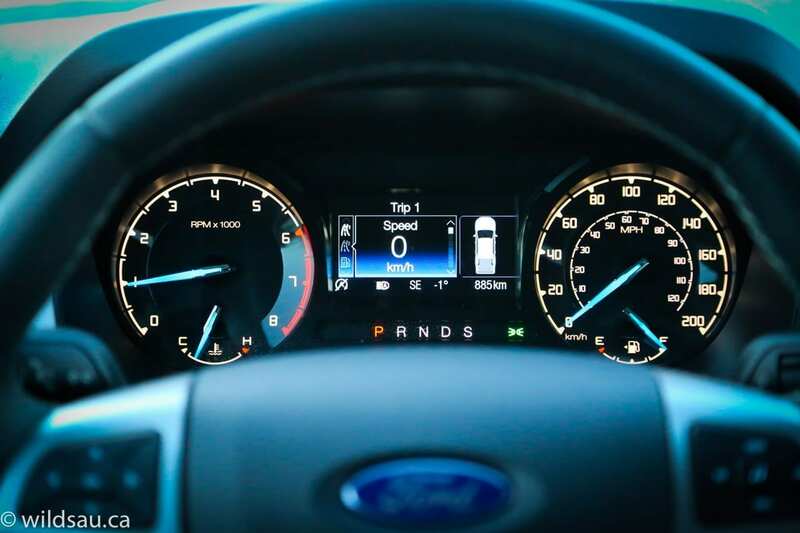 In the XLT, it’s two gauges split by a 4.2″ driver information screen. 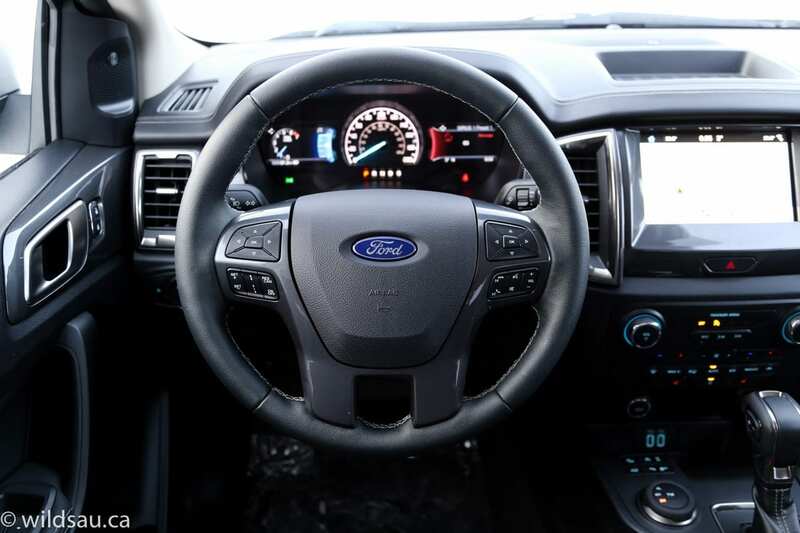 In the Lariat, it’s a standard speedometer flanked by two 4.2″ digital screens that you can quickly customize to show whatever information you want. We found the heated seats (which are partially power-adjustable) to be comfortable and quite well bolstered. They’re upholstered in leather in the Lariat. 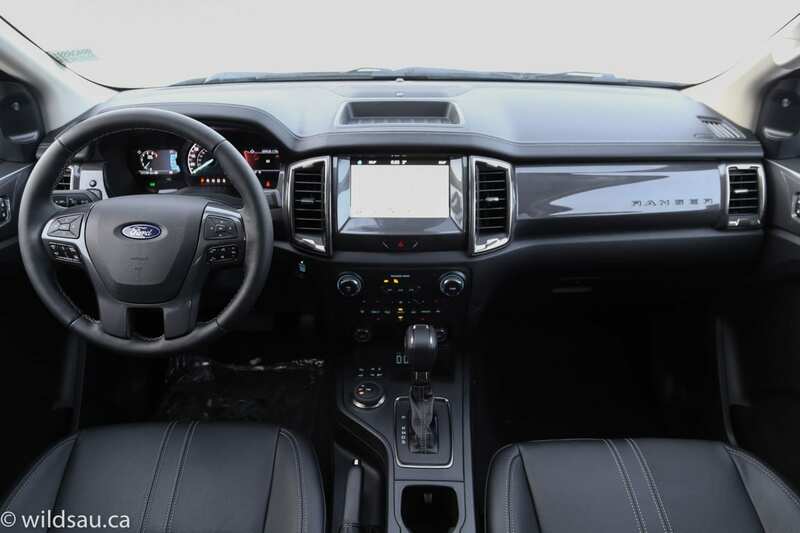 Front and centre is the 8-inch touchscreen using Ford’s now-familiar SYNC 3 system – optional in the XLT. 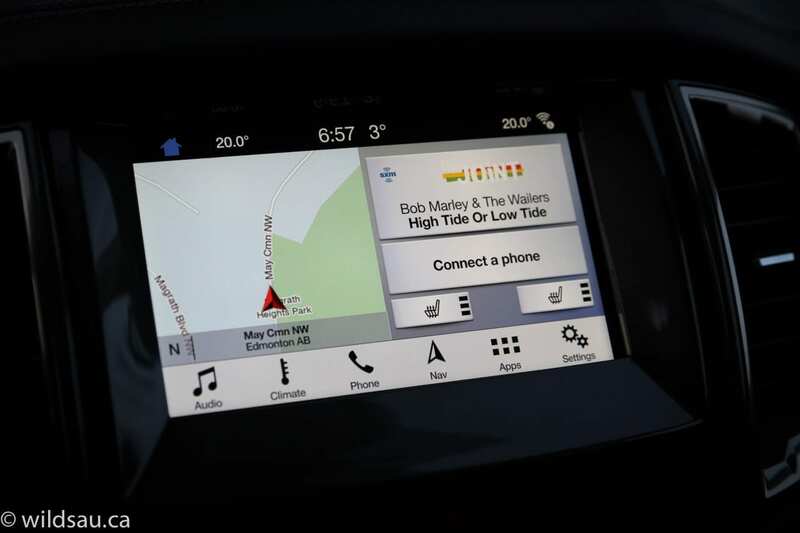 It’s a simple, sleek user interface that handles your phone, navigation, vehicle settings and of course the sound system. 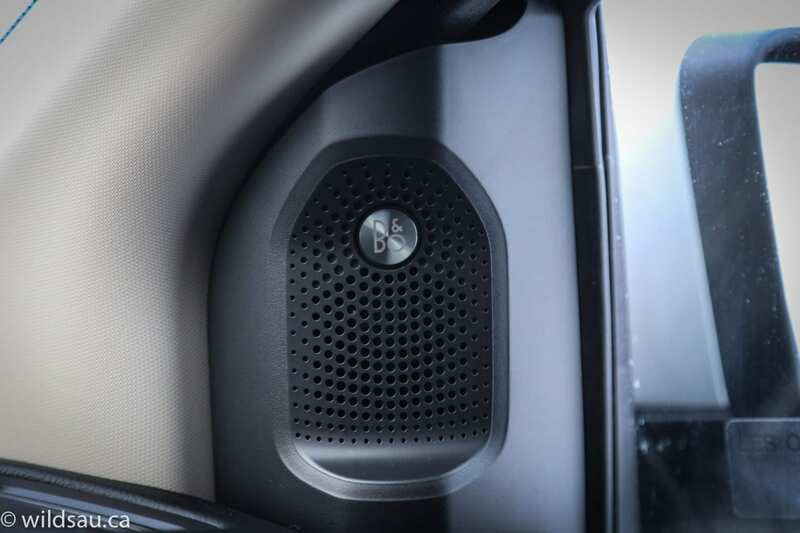 In the Lariat that gets upgraded to the 10-speaker 675-watt Bang & Olufsen premium audio system, which is excellent. 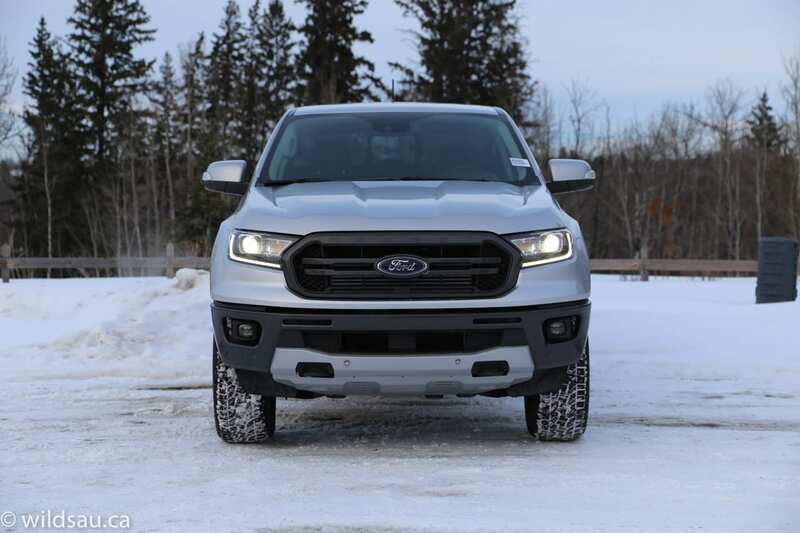 Optioned up as my Lariat review truck was, you get quite a bit of driver assistance technology – automatic high beams, lane keeping system, pre-collision assist, rear view camera with parking sensors, adaptive cruise control and blind-spot monitoring. It all works well and is relatively unobtrusive. 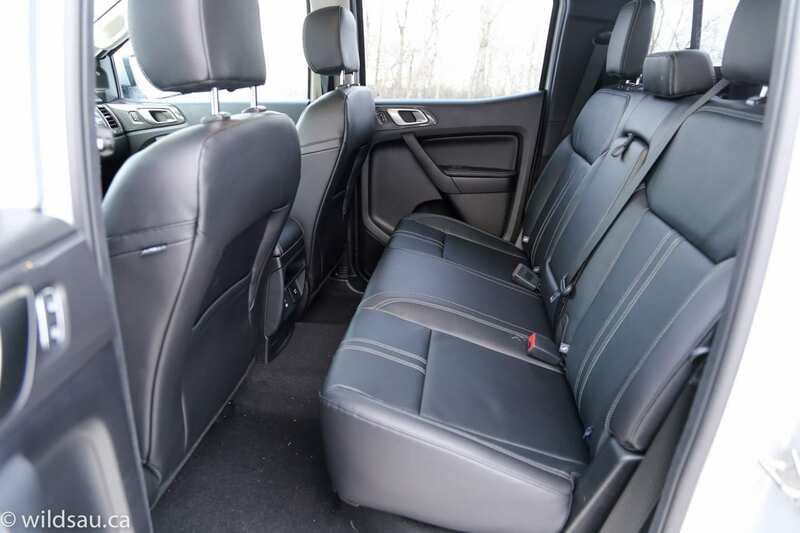 While it doesn’t compare to an F-150’s limo-like SuperCrew, this Ranger’s rear seating is quite usable. I’m 5’10”, and sitting behind my own driving position, I had about an inch each of knee room and head room to spare, with plenty of space under the front seat for my feet. The middle position is narrow and there’s a large tunnel on the floor. The middle seatback folds down to become an armrest with cupholders in it. 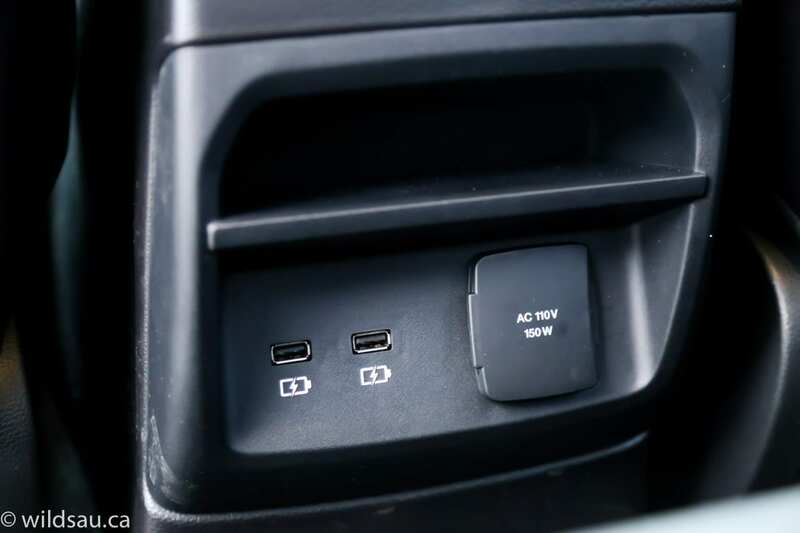 Rear passengers get two USB charging ports, a 110V household plug and a manual sliding rear window, beautifully integrated like the big-brother F-150s. There are a few places to put your stuff around the Ranger’s cabin. You get an open bin on top of the dash and another big rubberized open bin at the front of the centre console. It contains two USB plugs and you’ll find two 12V power points above it. Under the armrest lid is a smallish bin and there’s a locking glove box. 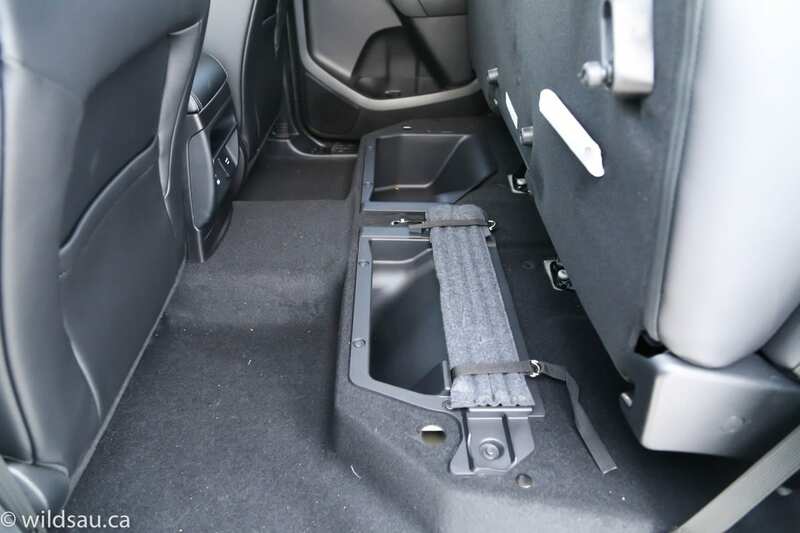 The rear seat cushions flip up to expose secure storage bins, or you can fold the rear seat backs forward for a large cargo shelf. 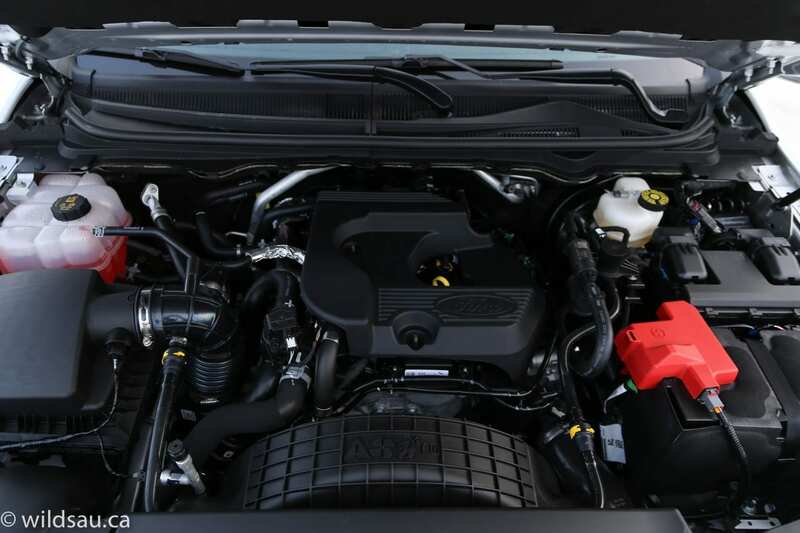 Here lurks a 2.3L EcoBoost 4-cylinder that puts down 270 horsepower and a very stout 310 lb.ft of torque. 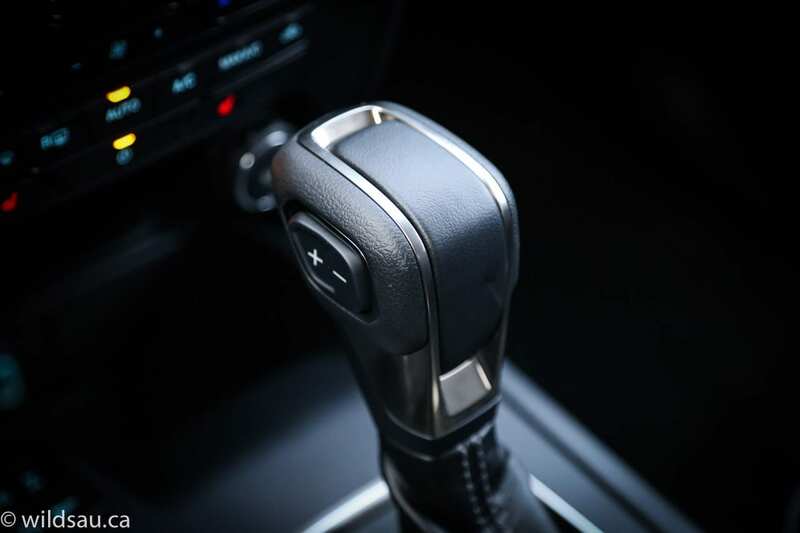 The power is managed by a 10-speed automatic transmission and there’s a true 4×4 system. This combination gets rated at 11.8/9.8 L/100 km (city/highway). We averaged 11.9 L/100 km and _____ during our weeks in the Rangers which included plenty of slow commuting, a few freeway sprints and one quick highway trip. 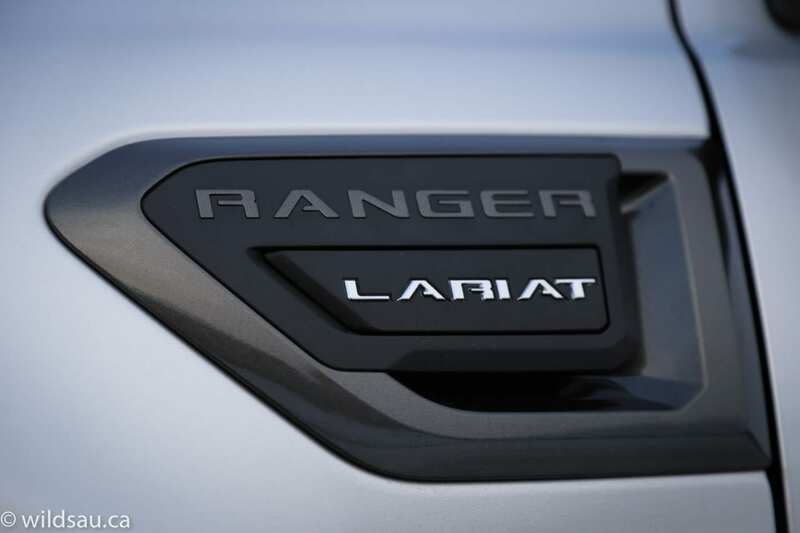 You’ll use a key to start the XLT versus a push-start ignition in the Lariat. 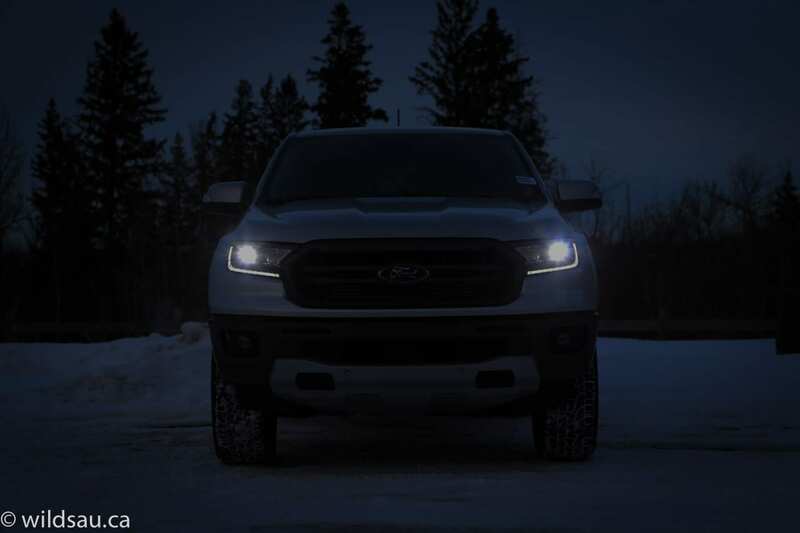 The powertrain is definitely a highlight for the Ranger. 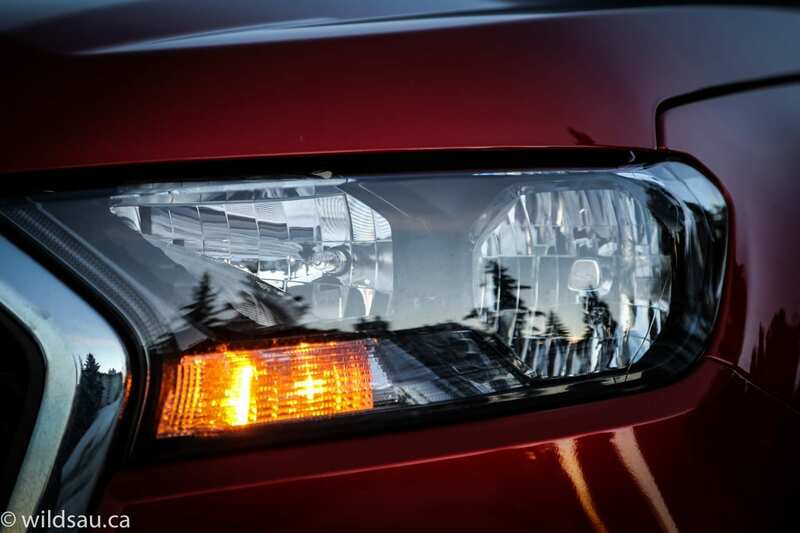 There’s no shortage of power, and it’s available in all driving situations. Off the line right up to highway passing, the Ranger does it all comfortably and effortlessly. The transmission is a nice match, and does its job well. It’s almost always in the right gear and it shifts smoothly. 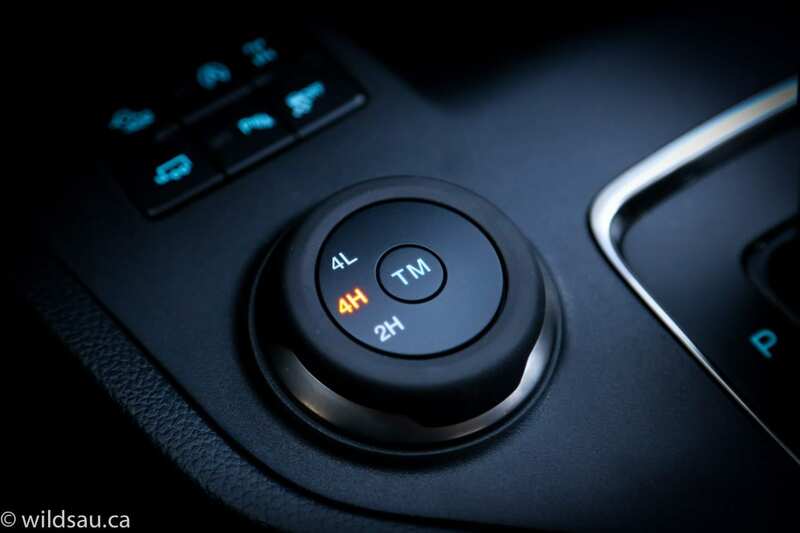 Put the transmission in Sport mode and the Ranger becomes downright quick to respond. 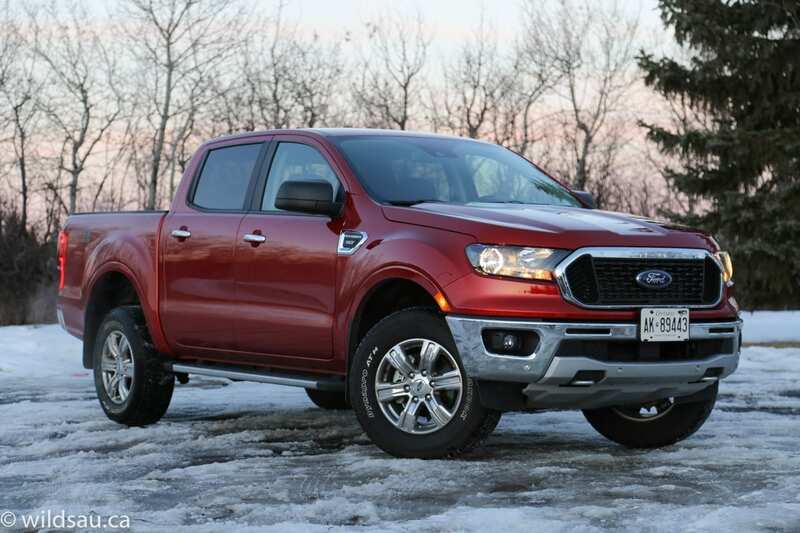 Unfortunately the FX4 suspension combined with the Lariat’s bigger wheels and lower profile tires reminded us that we’re sitting atop a stiffly-sprung truck. 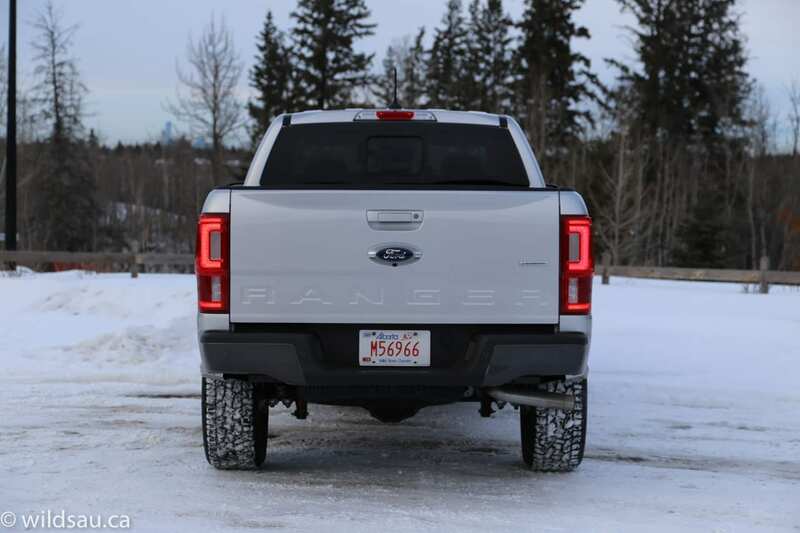 While it rides well enough on smooth surfaces, those are few and far between in Edmonton. On our nasty winter roads and fresh potholes and expansion cracks, the Lariat bounced and shuddered over most of these road imperfections. If you’ve driven a leaf-spring rear axle truck, you’ll know what I mean. 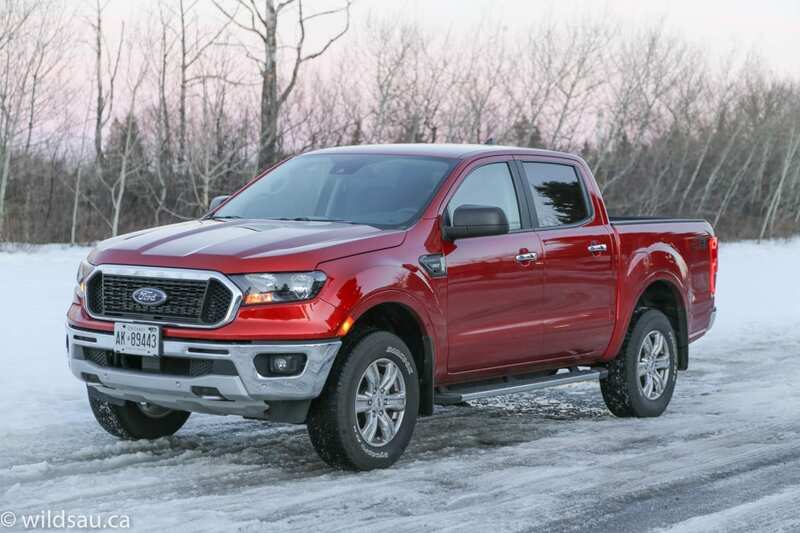 The handling is similarly affected – it’s quite competent around town but hit a frost heave or pavement crack in a corner and the Ranger shimmies and jitters on both ends before settling down. And here’s where the XLT wins out. The combination of smaller wheels and higher profile tires somehow made a huge difference in both ride and handling. Both were smoothed out considerably such that my family noticed immediately. 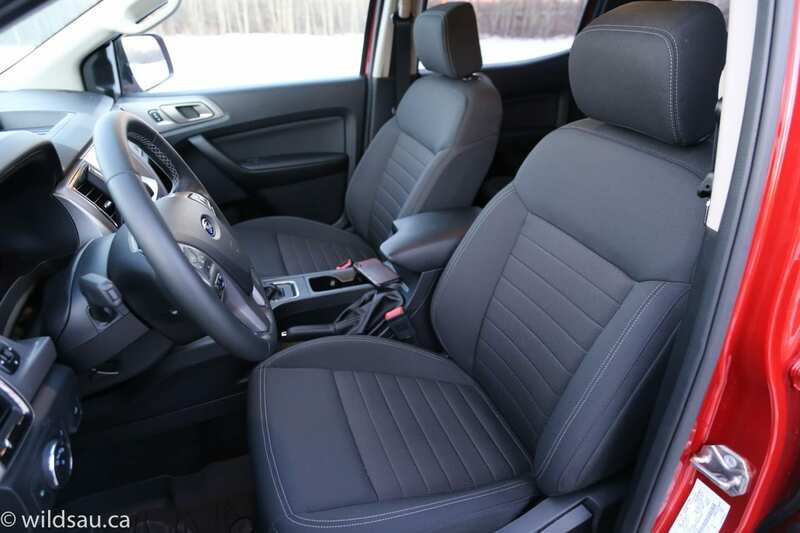 It’s much more comfortable and competent on the road – enough so that I would opt for the XLT for this reason alone. 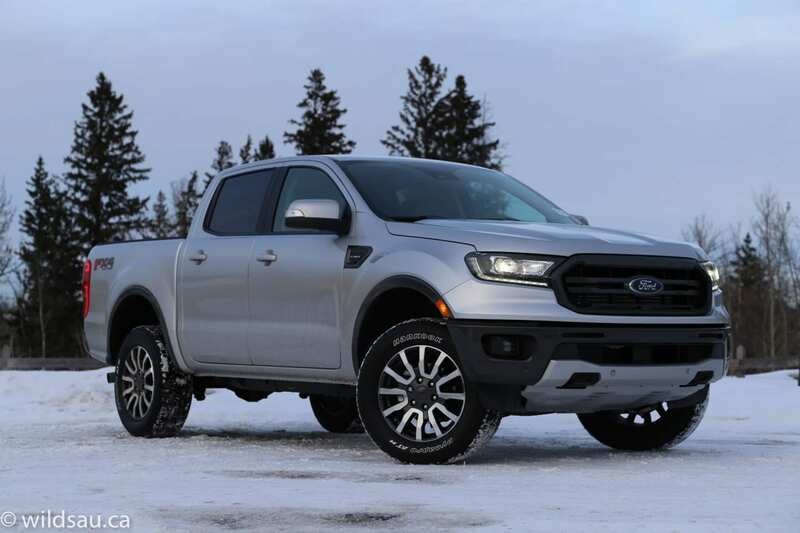 The Ranger’s 4×4 system is electronic shift-on-the-fly, letting you quickly choose between two-wheel drive, and high and low range in four-wheel-drive. Parking is much easier than in any half-ton thanks to the smaller dimensions and tighter turning circle. 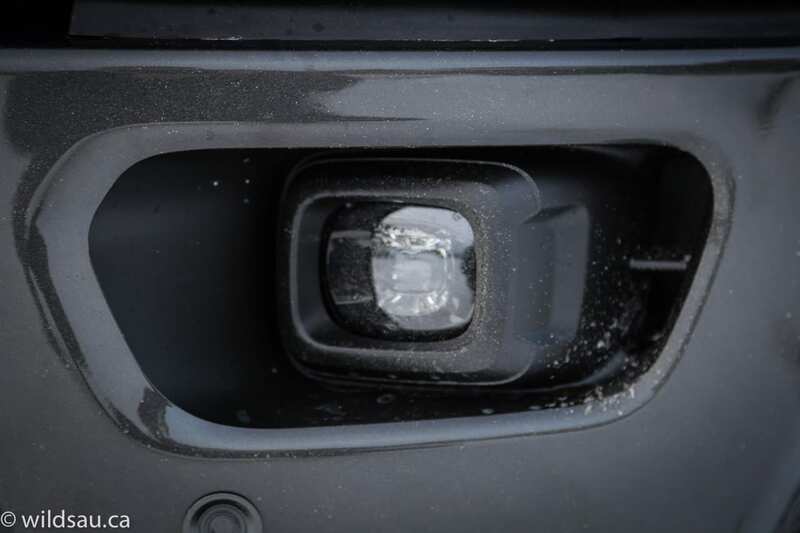 Tight parking lot maneuvres are also aided by the power-folding mirrors. Visibility out of the truck is fine (particularly when the rear headrests are down) and we found it to be very quiet, even at highway speeds. 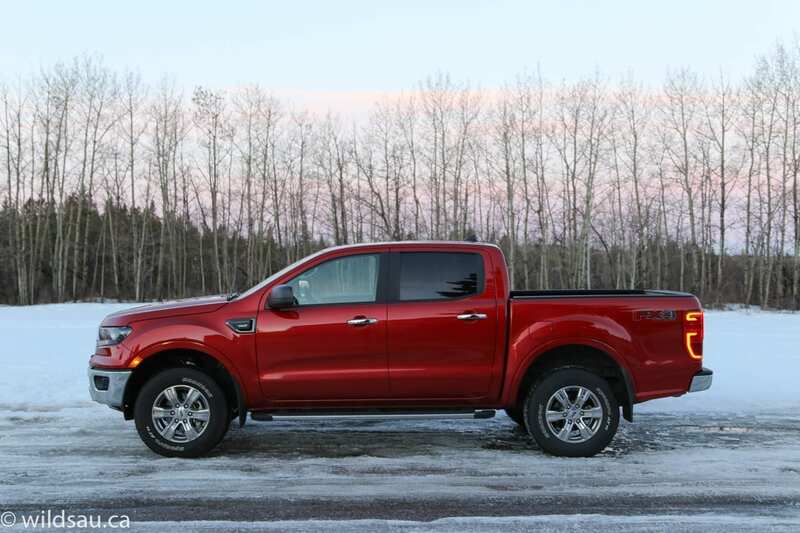 Ford did an excellent job in refining the Ranger’s noise and vibration. 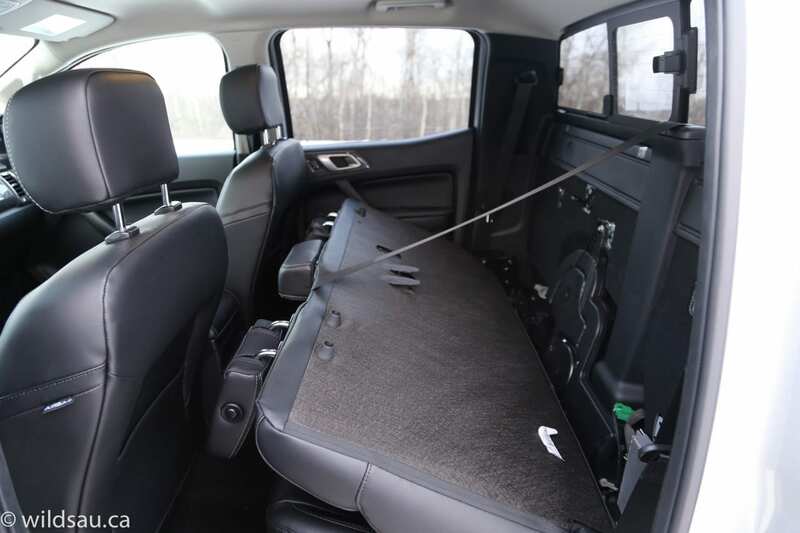 If you plan on using the Ranger as a workhorse, you’ll be interested in the 1,650 pound (750kg) payload capacity – my SuperCrew cab truck came with a 5-foot box. 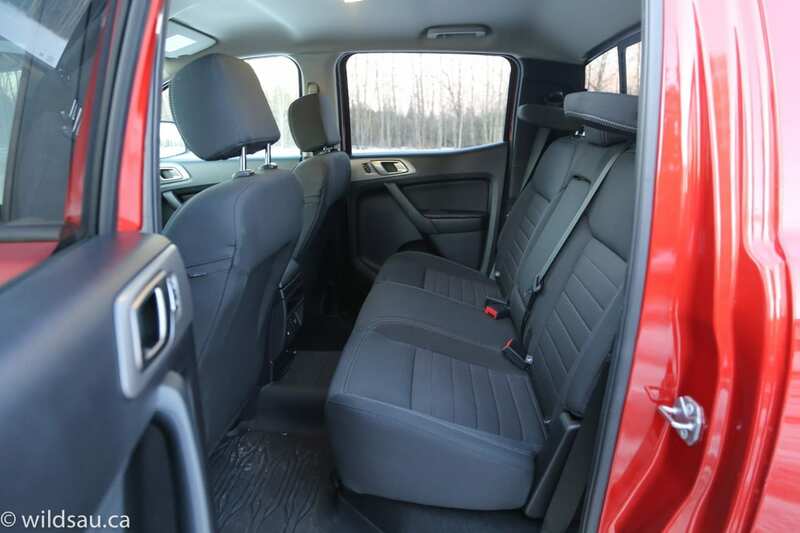 If you want a 6-foot box, you’ll need to opt for the smaller SuperCab which doesn’t have the four full-size doors – it also has significantly less rear seating. 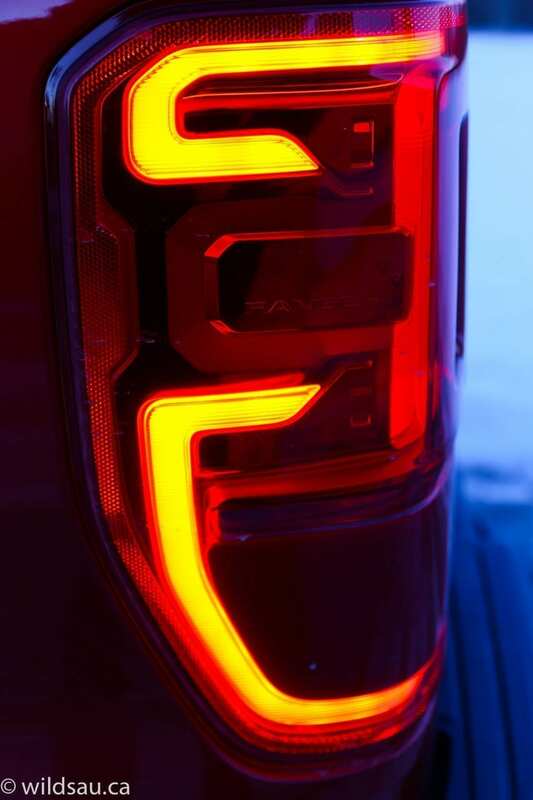 The box (beautifully illuminated with an LED light in the Lariat trim) has some serious tie-down points. While my Lariat’s box was raw metal, my XLT had the optional spray-in box liner which I would highly recommend. The maximum tow rating up to 7,500 pounds (3,402kg). 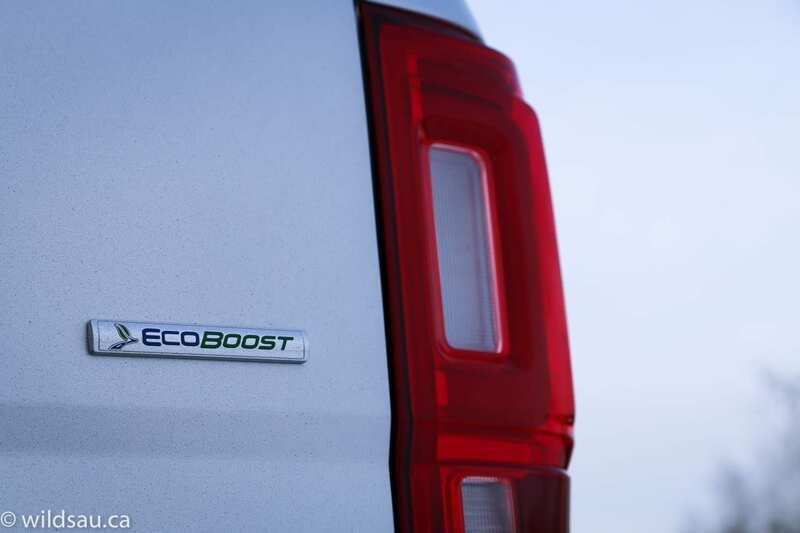 That’s best in class for gas-powered mid-size pickups. Unfortunately there’s no trailer brake controller built-in, which would come in handy if you’re towing up near the truck’s maximum capacity. Heading off the beaten path? The Ranger sports high approach (28.7 degrees), breakover (25.4 degrees) and departure (25.4 degrees) angles for tackling hills and clearing obstacles in your path. 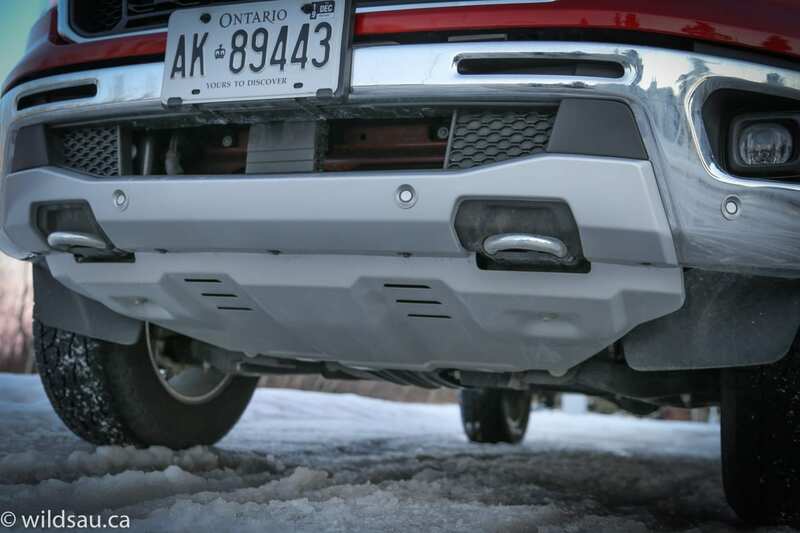 Ground clearance is 8.9 inches (225mm). 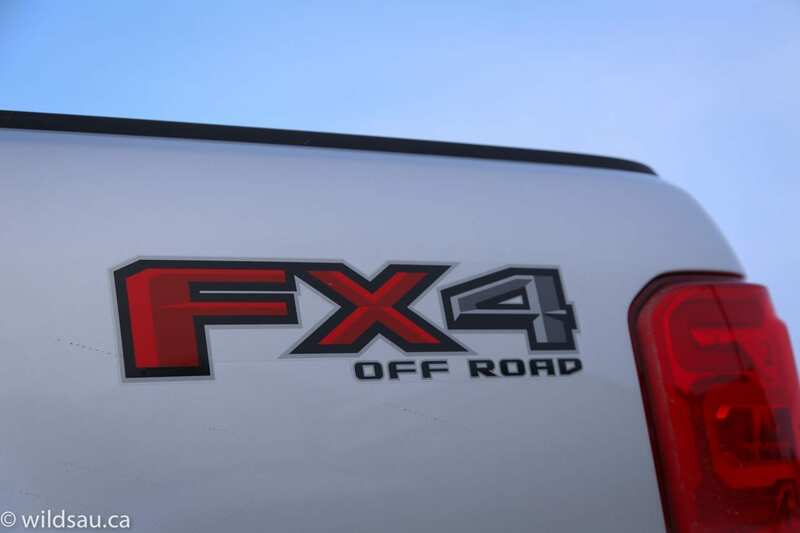 The FX4 package adds monotube off-road shocks, all-terrain tires, electronic locking rear differential, front bash (how awesome does that sound?) and skid plates, as well as skid plates for the transfer case and the fuel tank. 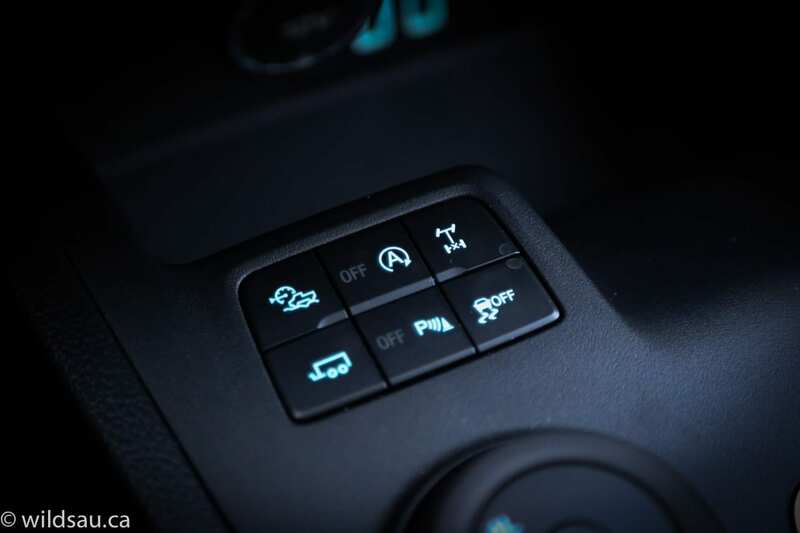 You get Terrain Control (allowing you to choose from four driving modes – Normal, Grass/Gravel/Snow, Mud/Ruts and Sand) and Trail Control, which is essentially a low-speed, off-road cruise control that handles the throttle and braking at each individual wheel up to speeds of 22 km/h. WAF (Wife Approval Factor) was middling. She said it was definitely easier to live with than a “normal” (read: half-ton) truck as she could put it in our garage with ease, manoeuvre around town, etc. and she said it had everything she would want in a vehicle. But she really disliked the harsh suspension, she said the interior looks like 1990 and she didn’t appreciate that the XLT trim didn’t have lit vanity mirrors. If you’re looking for a replacement for the old cheap and cute Ranger, this isn’t it. 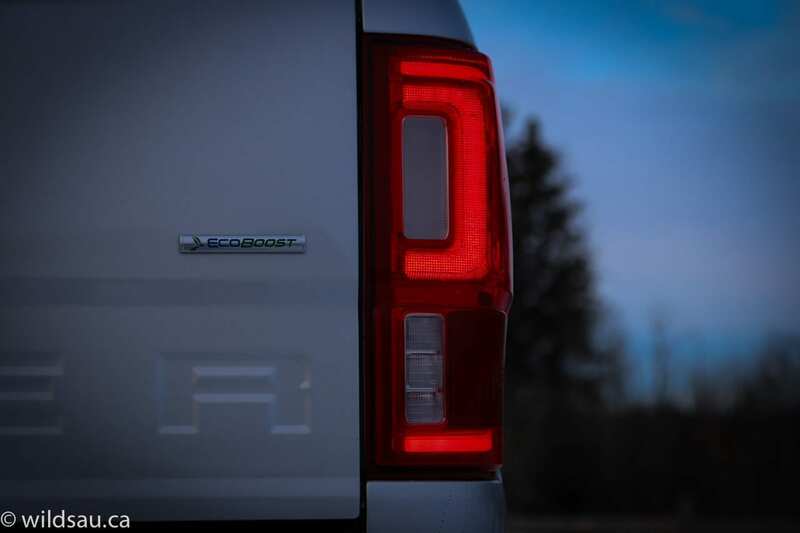 This truck is significantly bigger, more capable and more expensive. 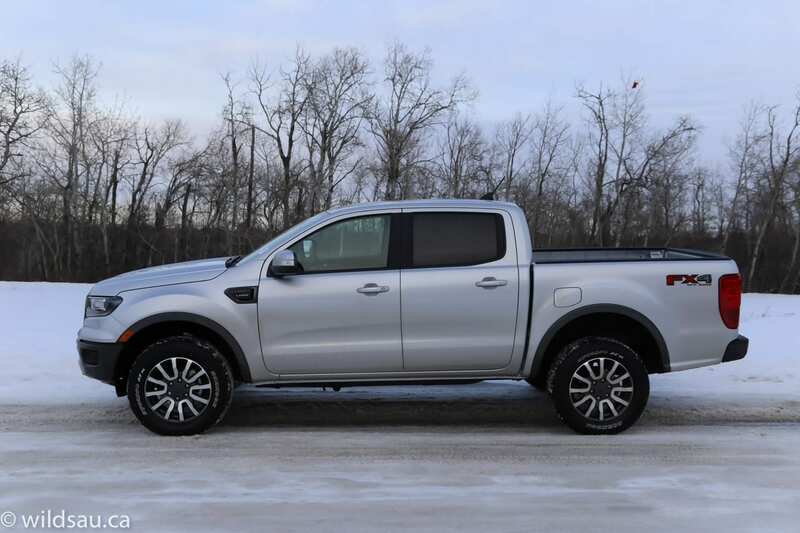 Obviously when you’re hitting the $50,000 mark in a Ranger (as you’ll see, my XLT (optioned the way it was) was within $1000 of the Lariat – both snuck right up on 50 grand), some people might start leaning toward spending a few thousand more and looking at the F-150 next to it in the showroom. 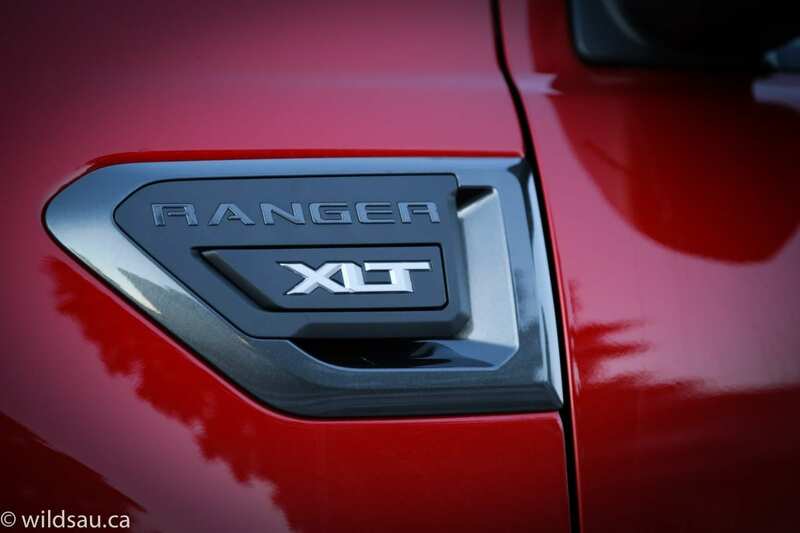 But the Ranger might be just the truck for many buyers. It’s the right size, it offers plenty of power, capability and comfort. It is off-road capable, small enough to park easily and fit into garages, and relatively efficient at the fuel pump. And that’s exactly what a lot of people want from their truck. 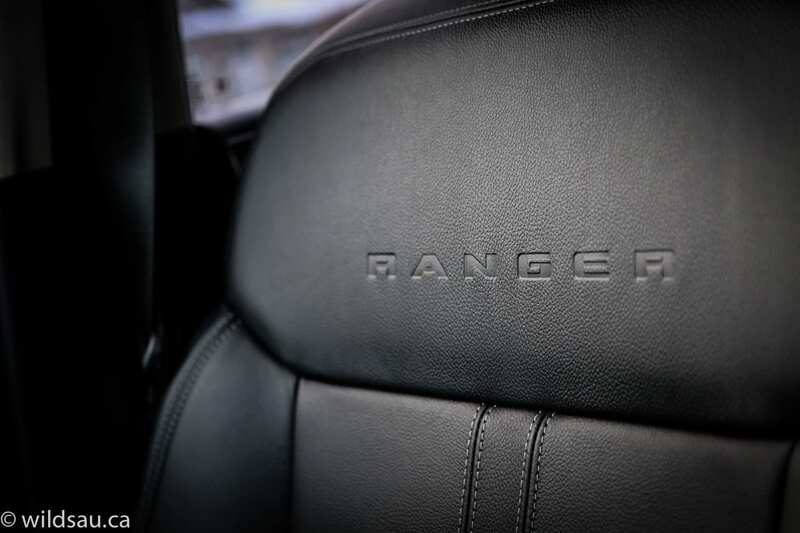 The Ranger delivers on everything it promises.